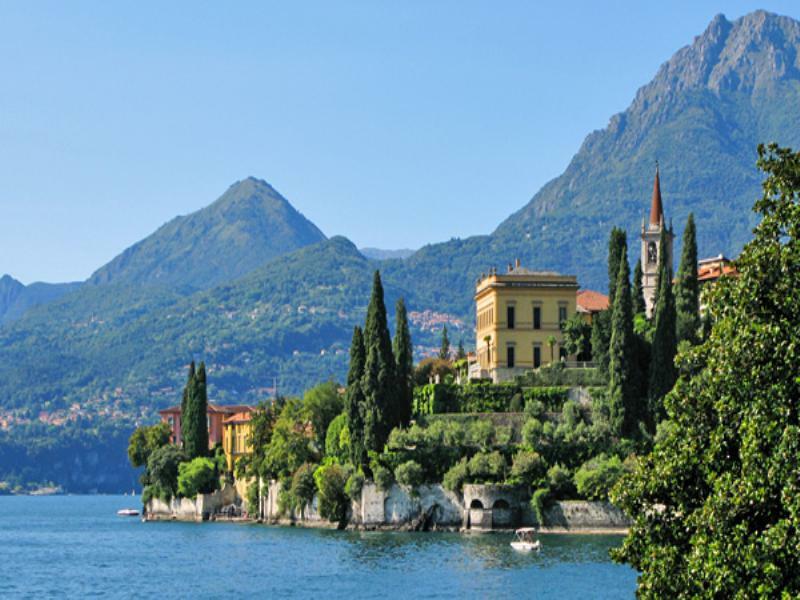 The magnificent landscape of the lake, known as the Lake of Como, enchanted, over the centuries, artists and travelers: by the French writer Flaubert musicians Gioacchino Rossini, Giuseppe Verdi and Vincenzo Bellini, who wrote the opera "Norma ". 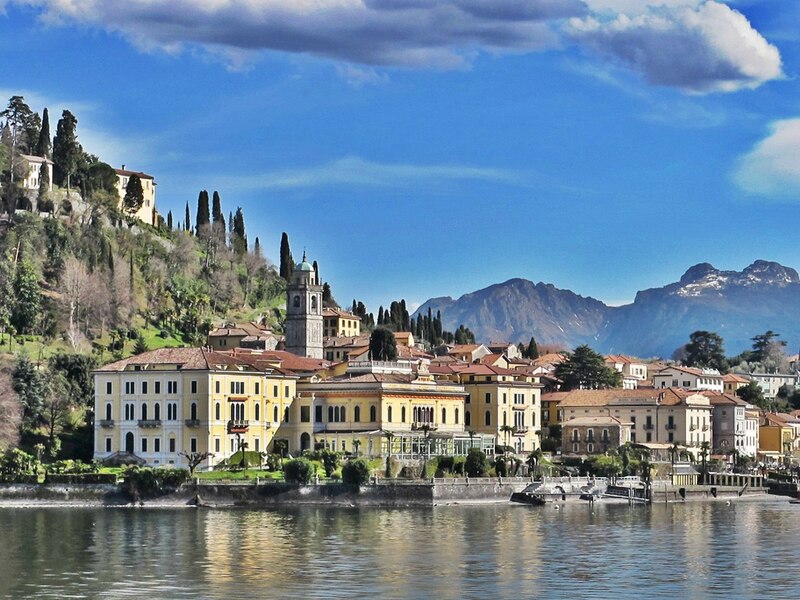 The lake has been the birthplace of famous people such as the Italian physicist Alessandro Volta, inventor of the first electric power generator, the battery, in the Museum of Physics of the University "Sapienza" of Rome. 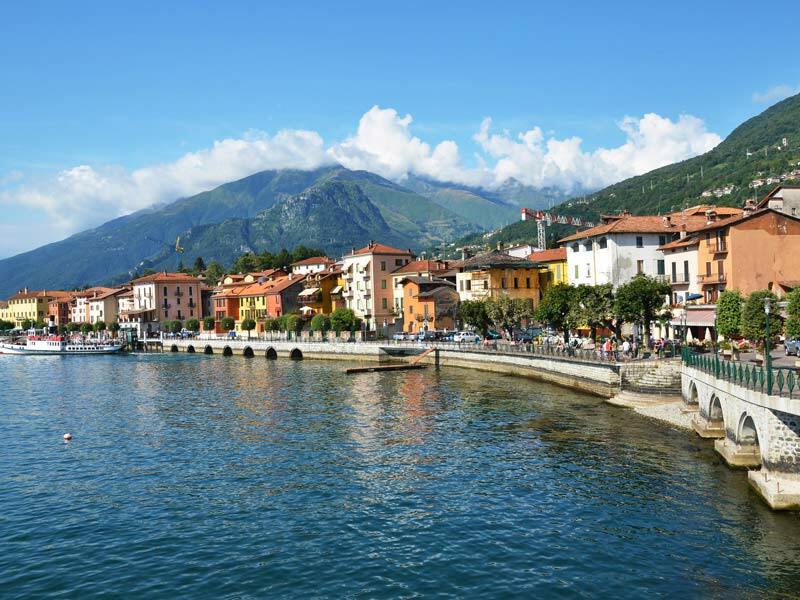 Nowadays the lake continues to attract celebrities from the international jet-set that appreciating the beauty of the lake and the charming towns that surround it have decided to establish his residence. 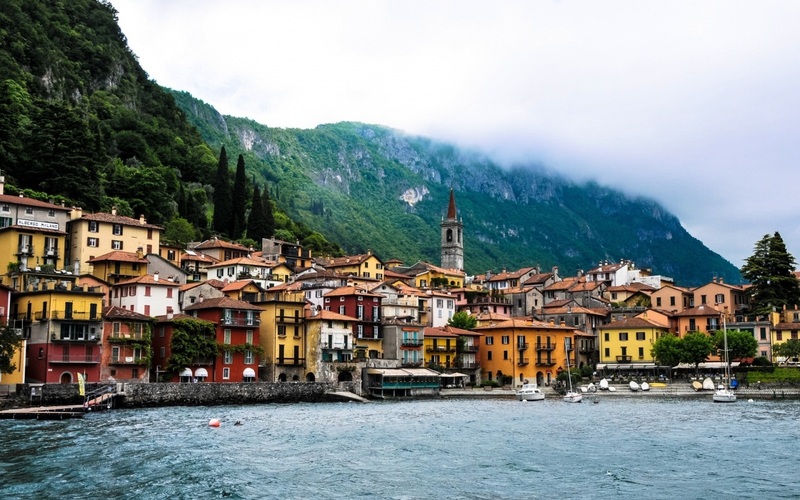 Lake Como, located about 50 km from Milan, between the provinces of Como and Lecco, is the third largest Italian lake, after Lake Garda and Lake Maggiore, and is the deepest (410 meters). 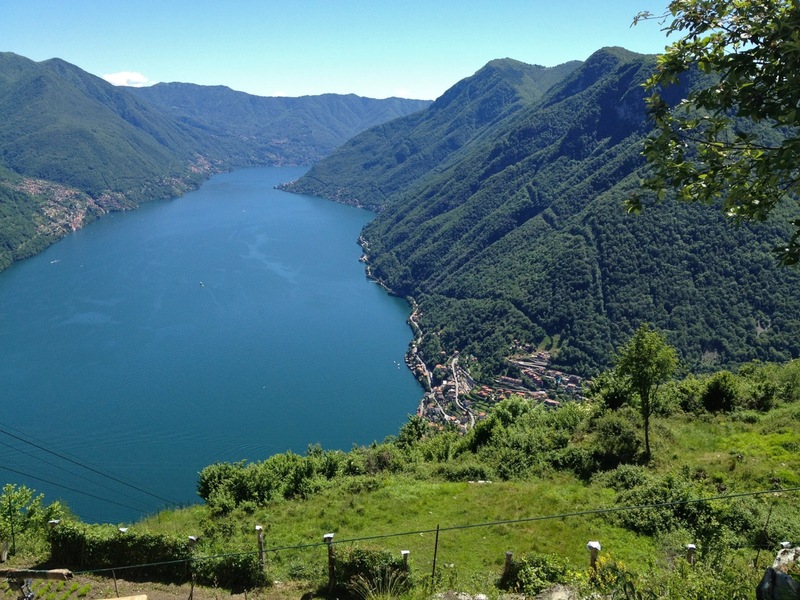 The lake, one of the most important in Lombardy, the characteristic shape of an inverted Y, unfolds into three branches: southwest of Como and Lecco in the southeast and north Colico. From its shores you can enjoy many and fascinating views: picturesque villages, beautiful villas and lush gardens await visitors looking for relaxation, entertainment and culture in close contact with nature. 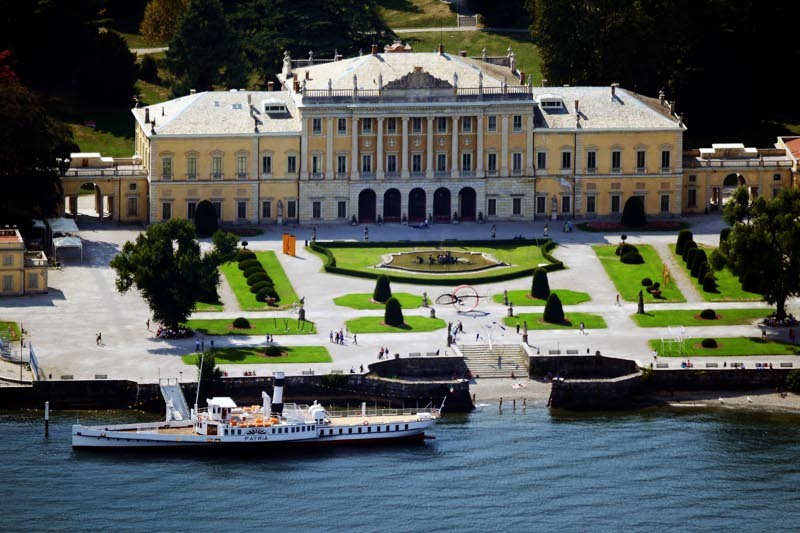 Many splendid villas, dot the shores of the lake, holiday resort of Lombard nobility as early as the sixteenth century, while its most important centers offer different preciousness to discover. 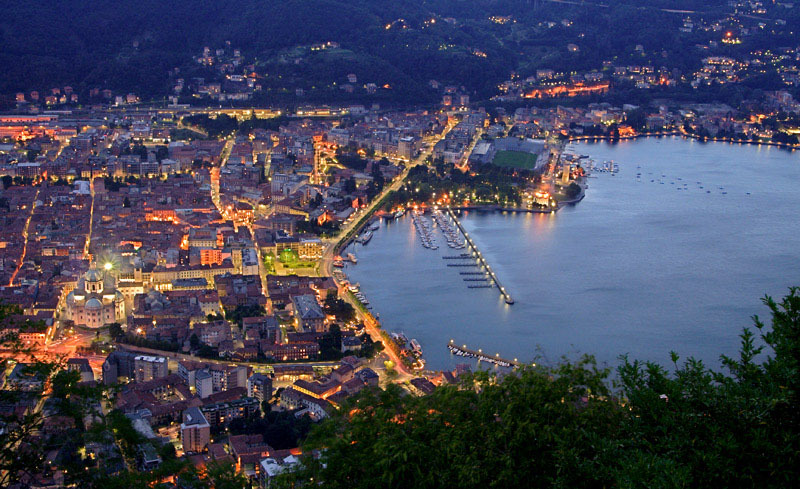 For example, in Como, the town from which the lake takes its name, is the Educational Silk Museum where you can trace the evidence of textile production tradition of Como. 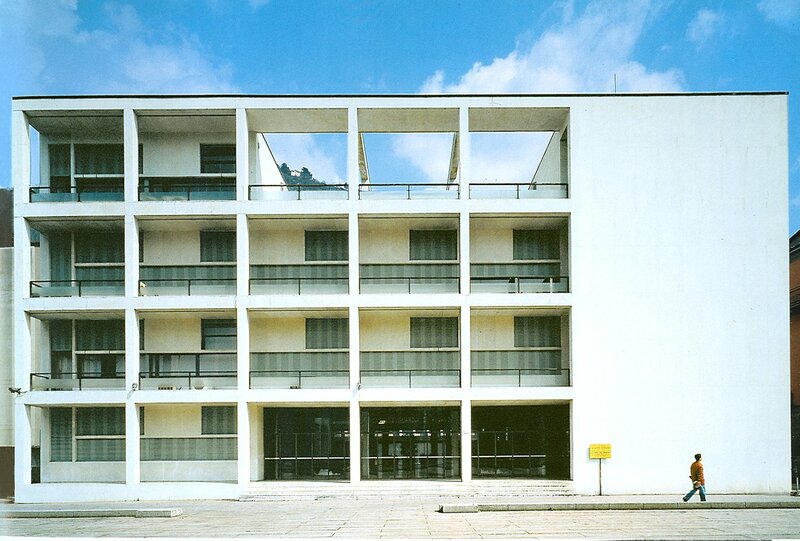 Como is also considered the birthplace of the artistic and Italian architectural rationalism; here there are many examples of European modern architecture as the Novocomum, the house Giuliani Frigerio, the War Memorial and the former House of Fascism, to all Italian architect Giuseppe Terragni. In Cernobbio don’t forget to visit the sixteenth century Villa d'Este, used by Alfred Hitchcock as a film location "garden of pleasure", and the famous Villa Erba, one of the most important villas of the nineteenth century Italian lake and today exhibition congressional complex of international fame . 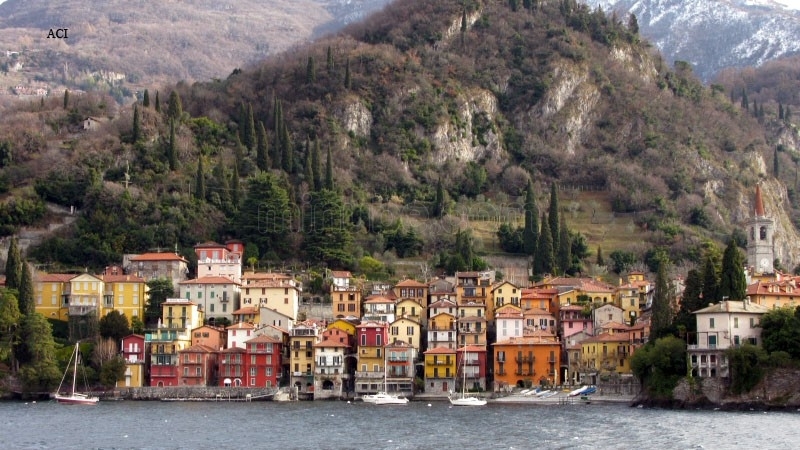 Continuing north you reach Ossuccio, famous for its spectacular Island Comacina, the only island of the lake and the Sacred Mountain of Ossuccio, a UNESCO World Heritage Site in 2003. 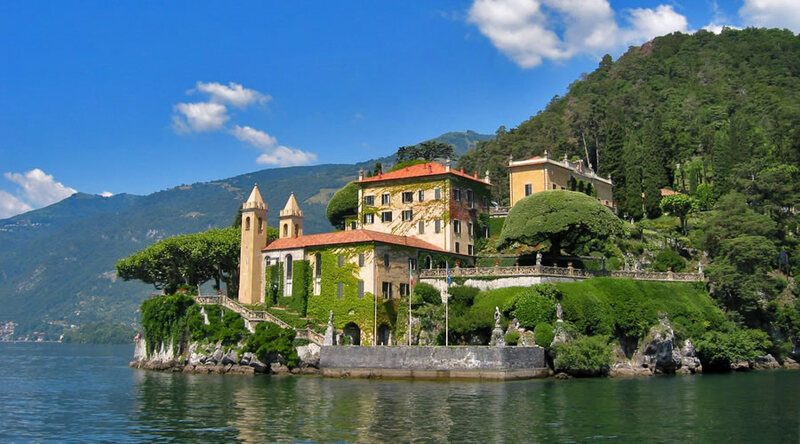 In the nearby towns of Moltrasio and Lenno, they are worth visiting Villa Passalacqua and Villa Balbianello, location of the film Star Wars and Agent 007 - Casino Royale. 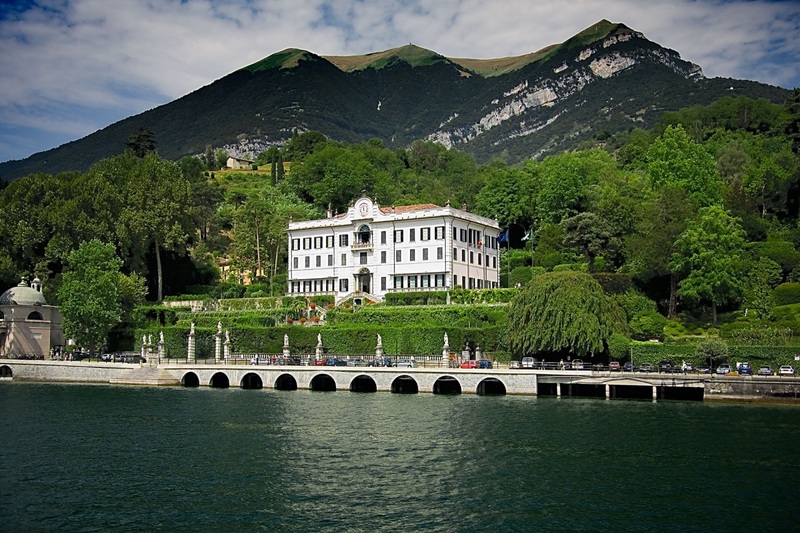 Along the coast you can reach Tremezzo and its Villa Carlotta, with terraced gardens and museum, decorated with works of Canova, Thorvaldsen and Hayez. 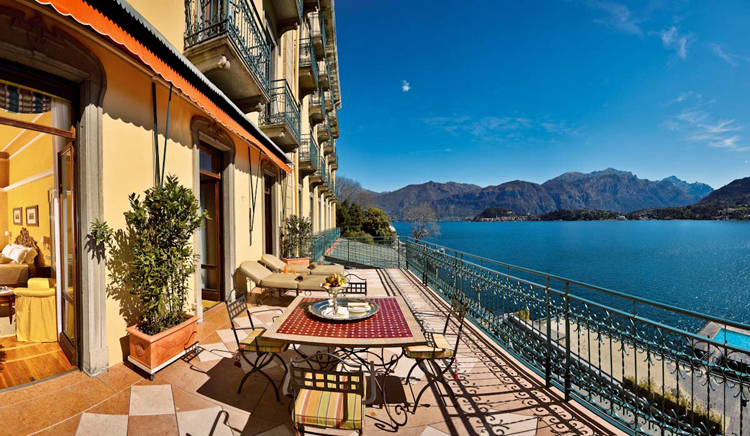 At the meeting point of the three branches of the lake you find the town Bellagio with its elegant aristocratic villas, including Villa Serbelloni and Villa Melzi, the latter famous for its botanical park. 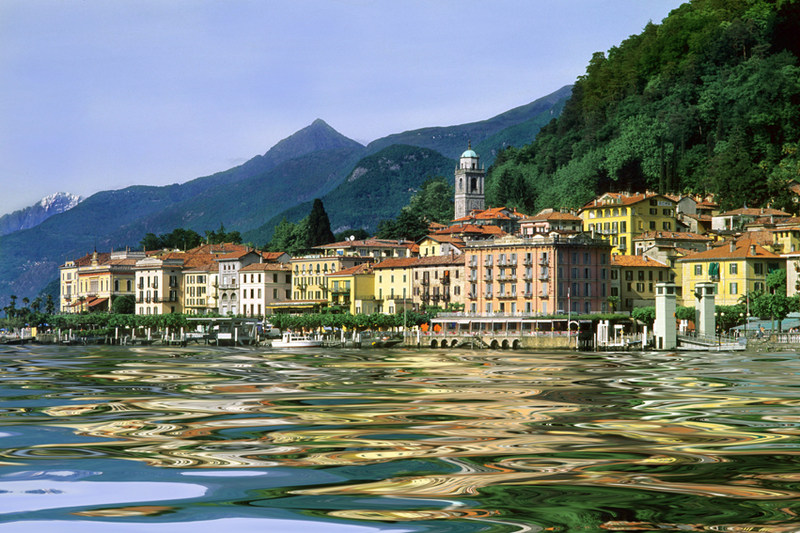 Heading south we reach Lecco. 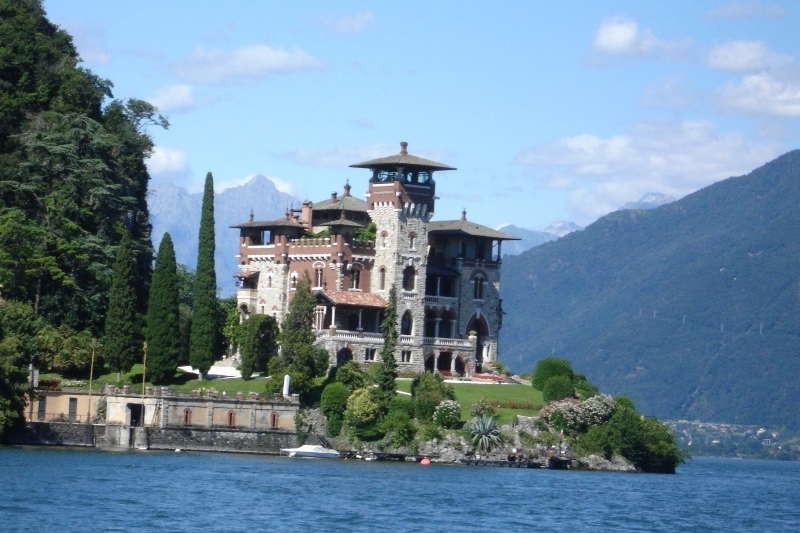 Here it is a must to visit Villa Manzoni, Manzoni's home as museum and the starting point of a journey in the footsteps of The Betrothed. 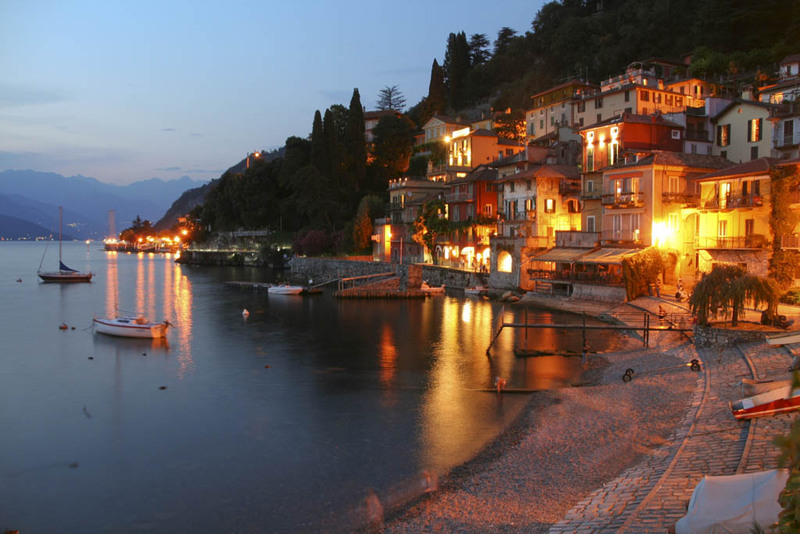 Continuing north, you can visit beautiful towns like Varenna, Bellano and Colico, headquarters of the Abbey of Piona. 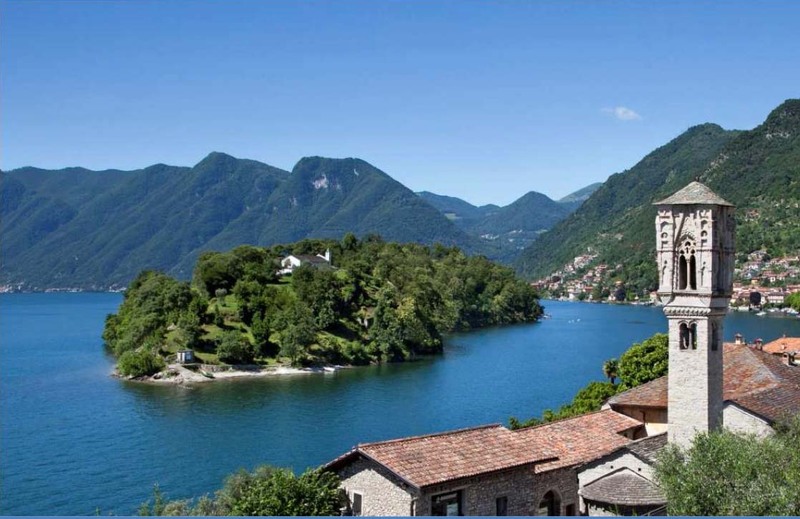 The historical and cultural vocation of Lake Como joins the outdoor sports and activities of a lake that is a destination of choice for lovers of active holidays. 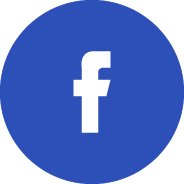 In fact in the summer fans of water sports can enjoy sailing, rowing, windsurfing, motor boating, water skiing, canoeing and kite-surfing. Who practices the "air sports" such as hang gliding, paragliding and gliding can enjoy a privileged point of view about the scenery of the lake. Mountain lovers can instead try their hand at rock climbing, great tours, hiking, biking and horseback riding. Even golf around the lake has a place of honor with seven internationally renowned courses in the green. From the lake to the mountains the journey is short thanks to excellent connections. 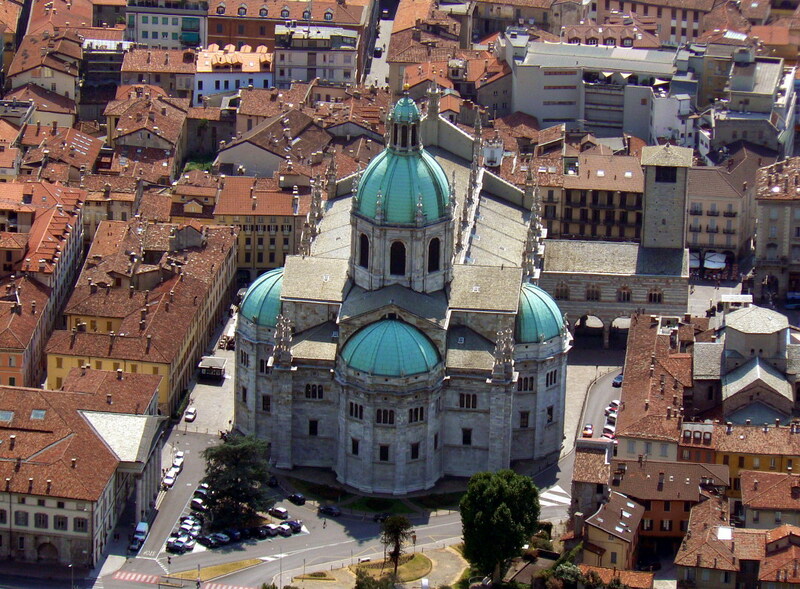 In winter the ski resorts of Piani di Bobbio and the Pian delle Betulle offer kilometers of perfectly groomed slopes and numerous rings equipped for the practice of cross-country skiing, ski mountaineering and walking with snowshoes. Lovers of fine cuisine with the opportunity of a trip to Lake and its environs want to know the gastronomic traditions of the area have the opportunity to discover unique flavors and products, such as risotto with perch fillets, the precious oil olive, the many vegetables (including excel the Rogaro asparagus and Drezzo) and of course many dishes based on fish as missoltini (savory shad, dried and pressed which are marinated with vinegar and oil).